Dubai: A new bill aimed at preventing the abuse of women will require Indians in the UAE to register marriages within 30 days if it becomes law. India’s Minister of External Affairs Sushma Swaraj introduced the Registration of NRI Marriages Bill 2019, in Rajyasabha, the upper house of the Indian parliament, on Monday. The Bill seeks to impound or revoke passports of Non-Resident Indians (NRIs) marrying Indian women if they don’t register the wedding within the required time period. A joint initiative of the ministries of External Affairs, Women and Child Development, Home Affairs and Law and Justice, the Bill aims to provide coordinated support to offer more protection against exploitation and abandonment of Indian women by their NRI spouses. 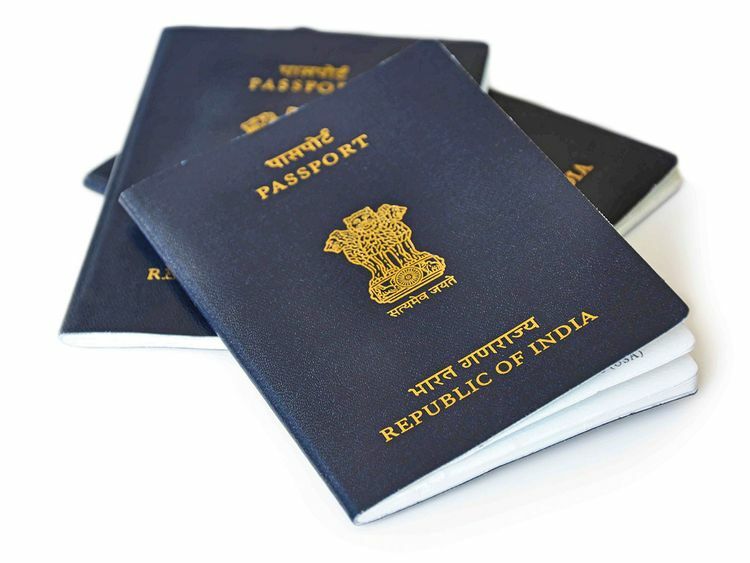 The Bill proposes an amendment to the Passport Act to empower the Passport Authority to impound or revoke the passport of an NRI who has not registered his marriage, if it is brought to the notice of the authority. The Bill would also give power to Indian courts to issue summons and warrants against erring NRI husbands through a specially designated website of the Ministry of External Affairs. In a bid to ensure justice to increasing number of Indian women being abandoned by their NRI husbands, the Bill also has provisions for attachment of properties belonging to the NRI, if he does not appear before the Court and is declared as Proclaimed Offender by the Court. According to the Ministry of Women and Child Development, the Integrated Nodal Agency that was formed to look into this issue has already cancelled passports of 33 NRIs for abandoning their wives and issued eight Look-Out Circulars (LoCs) on absconding husbands. On Tuesday, the ministry said it has also developed a portal for registration of NRI marriages as a deterrent. “It will be linked to all registrars of marriages in the country for automatic updation of details,” the ministry tweeted. While Indian expats marrying back home will have to register in India, those marrying in the UAE can register their weddings with the Indian missions here, said the Consul General of India in Dubai, Vipul. “We will link our marriage registration database with the ministry’s portal in future,” he told Gulf News. He said the Indian Consulate in Dubai receives around 150 marital dispute cases every year. These include cases of desertion of NRI women and non-compliance of court orders from India. Once the passport is cancelled, a violator would not be able to travel or process a visa. Vipual said the rules under the law will be envisaged and implemented in such a way that misuse of its provisions will not be allowed. “The government will definitely not take action without any complaint or without studying the cases thoroughly,” he said. Since expanding the ambit of the Indian Community Welfare Fund in September 2017, he said the mission has provided financial aid to six Indian women who were deserted by their husbands. Indian missions in the UAE can disburse up to Dh11,000 to women abandoned, cheated or abused by their spouses if they do not have any means for their livelihood. Victims of marital abuse (both men and women) are also offered free psychological counselling through the Pravasi Bharatiya Seva Kendra (previously known as Indian Workers’ Resource Centre).